WITH THE EMERGING religious fervor among many people today, the belief that anyone can serve and worship God directly without someone teaching him how to do it properly has also become commonplace. This is bolstered by the notion of some religious quarters that salvation is simply a matter of establishing direct and personal relationship with God and that it could be attained by performing charitable works and by doing good to one’s fellowmen. That possessing good conscience, being religious and godly, and neither trampling on other’s people’s rights nor doing any evil to others make one worthy of God’s favor and His promised salvation. People who adhere to the aforementioned principle often do not recognize the importance and relevance of God’s messenger to their relationship with Him, dismissing the concept of God’s commissioning as superfluous. Are these people right in discarding God’s messenger in their religious life? Cornelius and his household had to meet with Apostle Peter, a messenger of God, and listen to his preaching in order for them and his household to receive the Holy Spirit and the true baptism. Only then did his piety and good works become worthy and acceptable to God. What happened to him proves that men cannot render valid and acceptable service to the Almighty without the benefit of His messenger. Although it is good to perform charitable and commendable acts to our fellowmen, these are not enough to be worthy of God’s favor and His promised salvation. God would consider one’s religiosity and services to Him worthless if they are rendered outside His commissioning. Indeed, without the messenger authorized by God to preach His words, man cannot be reconciled to Him. And herein lies the indispensability of the commissioned preacher in man’s relationship with God. 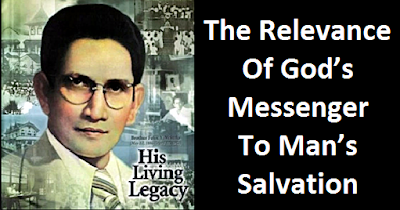 The Church of Christ in these last days firmly believes that God has commissioned a messenger in our time in the person of Brother Felix Y. Manalo. Numerous biblical prophecies concerning God’s commissioning of a messenger in these last days have found fulfillment in him (Rev. 7:2-3; Is. 41:9-16; Is. 46:11-13; Is. 43:5-6; and John 10:16). Through his preaching function that resulted in the reestablishment of the Church of Christ in the end times, people in these last days have been given the chance to be reconciled to God. Those who believe in the teachings of God which the messenger preached and as a result become members of the Church of Christ are reconciled to God and are certain to inherit his promised salvation come Judgment Day. For, after all, to share in God’s inheritance , one needs to belong to the preached by the messenger of God. 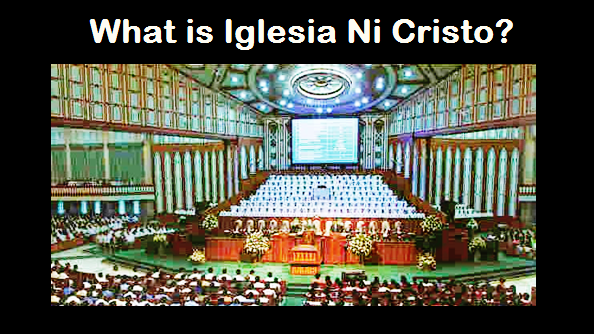 Are All Religions of God and of Christ?